When Nicole and I go antiquing, we search for cool old stuff, but, sometimes, objects find us. Regular readers of my (Tyler's) blog might have gathered that I’m particularly interested in, among many other things, historical clothing and buttons. There's something fascinating about these little artifacts and all the things they can tell us about clothing and the people who wore it. Years ago, at the Mansfield, Ohio, Civil War Collectors show, I came upon a small case of eighteenth-century cloth-covered buttons for sale. They had been found, so the attached note said, washed up on a beach in New England after a shipwreck. The price was a little high for me, though, and by the time I made up my mind to go back for them later in the day, some other savvy collector had snapped them up. And so I wrote them off, adding them to the “should have bought that” list that I suspect every collector secretly maintains. Cloth-covered buttons with dime for scale. The middle buttons in the top and bottom rows are flipped to show how the fabric is secured on the reverse around the wood cores. I thought over these buttons. They were great examples of the sort used on men's and some women's clothing in the eighteenth and early nineteenth centuries. You can read a bit about the button "moulds" of forms here and see some in action on a pair of breeches here. I'll confess, I snuck away for a moment and cheated. I did an internet search using Nicole’s phone to make sure that there weren’t a dozen other such button sets floating around on eBay. There weren’t, luckily. So I had to buy them. After all, how often does a second chance like that come around? The challenge now was to figure out how much of the story was true. I had talked with the dealer, who told me that she bought them from another dealer who had bought a whole bag from descendants of the Toppan family of Hampton, New Hampshire. Of the two bags of buttons Christopher Toppan supposedly recovered, one had been water damaged but the other intact. And, so the story went, a bag of cloth-covered buttons from the wreck descended in the family right up until recently, when the dealer broke them up into little sets for resale. That, at least, explained how I had come across two different groups of buttons with the same unusual provenance and justified my skepticism about just how many sets there might be. 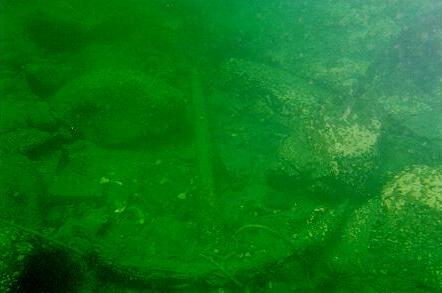 I initially despaired of finding much online about the shipwreck. There isn't as much digitized source material online for 1725 compared to, say, 1865, because newspapers and other printed material became more common over time. Moreover, there were hundreds of shipwrecks on the coasts of early America, many of which received little or no printed attention. But when I focused on Christopher Toppan’s name and on Hampton, I got a few hits. Gradually, I started to piece together the story. As it turns out, the wreck of interest happened not in 1725 but in 1764. That year, Captain Mallard had a string of bad luck. 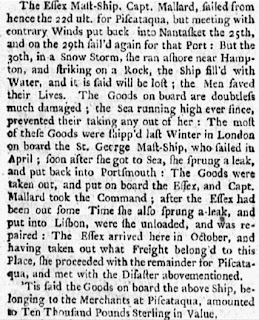 Based on New England newspaper accounts, he sailed from London on the St. George in May, but a few days out of port the ship sprung a leak and put into Portsmouth, England, for repairs. From here, things get hazy. What's so important about the actual name of the ship to the story of my buttons? Isn't it enough to know they're from a shipwreck? Initially, I thought that's all I'd get. And if I hadn't checked some other sources and instead concluded the wreck was that of the Essex, I might not have uncovered a more interesting story. 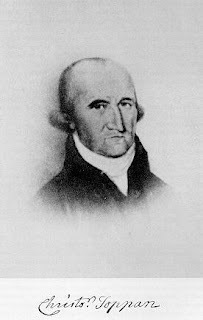 When I started looking into Christopher Toppan, however, I was able to make the connection with the 1764 wreck of the St. George, mentioned by Hampton writers including Peter Evans Randall and James W. Tucker. Christopher Toppan, ca. 1790s, from here. 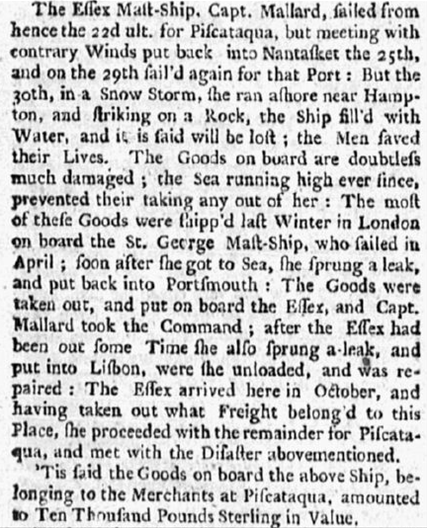 So, it seems, the St. George’s cargo was valuable enough, and its dispersal controversial enough, that it did in fact spur something like a riot in Hampton in the early days of 1765, only a few short months before Bostonians and other colonists took to the streets to protest the Stamp Act. More recently, a few other probable relics of the St. George have surfaced. 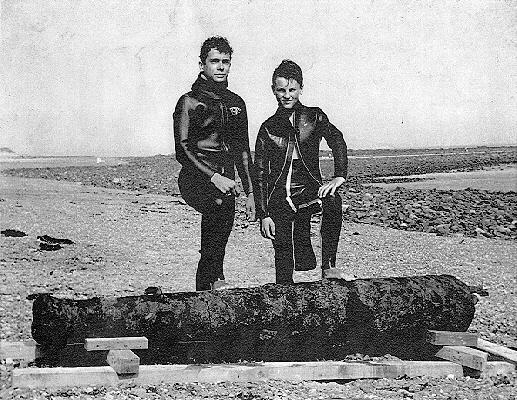 In 1962, two young divers raised a cannon, mill stones, and other artifacts from the purported wreck site, and in 1992 another diver found an old anchor believed to be from the ship. To the best of my knowledge, no archaeological work or extended research has been conducted on the wreck site or the St. George's history. 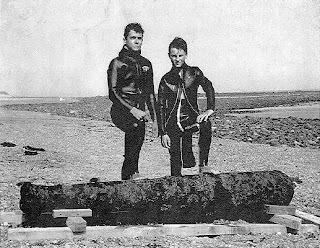 Skip Hird and David Conrad with the possible St. George cannon, 1962. From here. The possible St. George anchor, early 1990s. From here. So, are my buttons in fact a relic of the St. George? According to their provenance, they descended in the Toppan family, and Christopher Toppan could certainly have saved them from the wreck’s cargo. The buttons are definitely original and date to the eighteenth or early nineteenth century. The variety of their sizes and colors, their unused condition, and the fact that there are other groups of comparable buttons out there from the family’s original group all suggest that these were buttons meant to be sold. If they were on the St. George, they were part of a merchant's shipment. They were not simply, for example, saved by the Toppan family from a worn-out garment for reuse and later attached to the wreck story. I still have some lingering doubts about the buttons' connection to the St. George. They are covered in coarse linens, and it seems unlikely that such buttons would be imported and sold when they were so easy to make. Why would a tailor or seamstress have bought a button when it was so easy to make one in minutes using fabric that matched or coordinated with a garment (like on this coat)? Moreover, of all the things Christopher Toppan and his descendants could have saved and remembered, why a bunch of cheap buttons? I’ll probably never know the answers to these questions. But for now, I’m still a believer. I like the story and, anyway, the evidence is inconclusive for either side of the argument. I like thinking that these little buttons are part of a bigger story. And I like that they found me. Dear Tyler and Nicole, I am a direct descendant of the Toppan family (Christopher Toppan mentioned here is my 3X great grandfather) and I hold a package of the buttons. Your research is true by all accounts based on our family story. We hold the original packaging of the buttons. We have a deep embedded history in our family, and we would hold on to these items because of the story involved. I would be curious to know what relative sold their bag of buttons, as many others have held on to them. I am the author of a book entitled Toppan's History: The Early Settlers, where Edmund Toppan, my 3x great uncle, collected and wrote stories of the early settlers of Hampton. Hi, Lori - Thank you very much for your comments! Tyler and I would love to see a photo of the "original packing" you mentioned. Either way, we're glad you enjoyed the post!